camera (Pablo Martinez Monsivais/AP Photo) Attorney General Eric Holder speaks during a news conference at the Justice Department in Washington, Sept. 4, 2014. 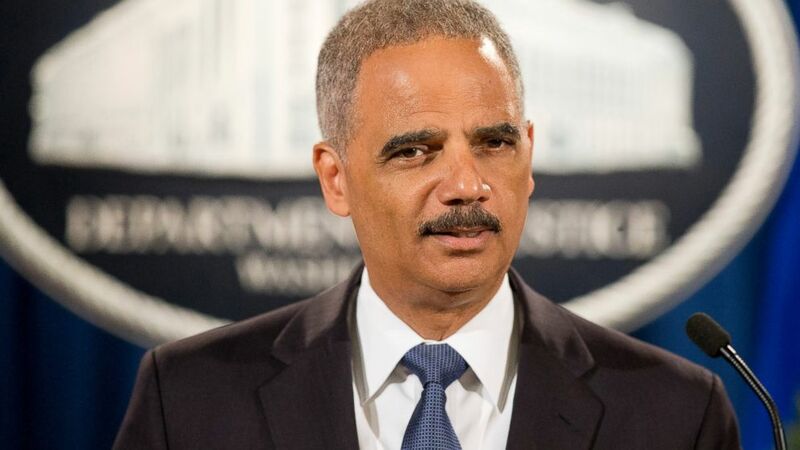 Former U.S. Attorney General Eric Holder has a new job: He's been hired by Airbnb to develop a "world-class anti-discrimination policy," the San Francisco-based company said today. "We are honored that former U.S. Attorney General Eric Holder has agreed to join our team to help craft a world-class anti-discrimination policy," Airbnb CEO Brian Chesky wrote in a blog post. "Holder will be working with John Relman, a leading civil rights attorney and national expert on fair housing and public accommodation issues. While we have a policy that prohibits discrimination, we want this policy to be stronger. And we will require everyone who uses our platform to read and certify that they will follow this policy." Holder was U.S. Attorney General from 2009 to 2015. He was a vocal proponent of civil rights for minorities and the LGBT community. He left a year ago and rejoined his former law firm, Covington & Burling. The announcement -- which acknowledges the Black Lives Matter movement and the recent deadly attacks on police officers -- follows a series of complaints about Airbnb hosts refusing rooms to guests based on their race. "In early June we announced that we would review every aspect of the Airbnb platform to help ensure we are doing everything we can to fight bias and discrimination," Chesky writes. "We believe that everyone should be treated equally, and with respect. We believe that Black Lives Matter, and we support those who are making their voices heard. We also support the brave police officers who often protect peaceful protesters, and who risk their lives every day for all of us." Other members of President Obama's administration who have taken Silicon Valley jobs include David Plouffe, Obama's former campaign manager, now an adviser for Uber. Former White House press secretary Jay Carney is now the communications head at Amazon. And Dan Pfeiffer, Obama's former adviser, now works at GoFundMe.